When you think of upgrading your Smart suspension and lowering your vehicle, you probably have some of the same priorities in mind that B&G Suspension does. 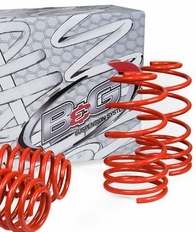 B&G Sport Lowering Springs for Smart are engineered to improve handling while maintaining safety and ride quality. B&G Sport Lowering Springs for Smart also will give your vehicle an aggressive look.